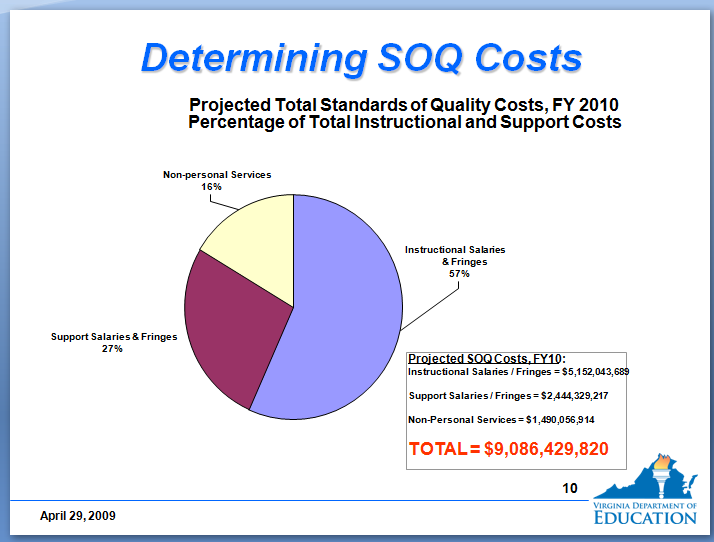 Budgeting for a school is one of the most important things a school system will have to do. The school board must make sure that funds are being allocated to all areas and that students are adequately paid for. However, budgeting isn’t just throwing some numbers around, some to special needs areas, some to the students, some to transportation. It’s a detailed process which must be handled with carefully in order to satisfy the school system. Public schools can get money in various ways through property taxes, income tax, sales tax, state/local/federal taxes, block and categorical grants, excise taxes, state lotteries, estate and severance services, product rights and user fees. All of the above provide funds for the school system in order to the school to run smoothly. However, there are still issues with the way that public schools receive funds. In terms of property taxes, this tax is not equitable; it is only the assessed value. This means that property taxes are the market value of the home and often the tax rate will increase, leaving the homeowners unable to pay the taxes. Also, the evaluation of homes has no set date across the country; some localities may assess values every two years, others every four. This tax “fails to distribute the tax burden according to the ability to pay” (Ornstein 238). Other issues with taxes range from the wealthy vs. poor tax base. Obviously schools that are in wealthier areas are going to get more money from property taxes rather than an inner-city school. There is also an issue with municipal tax burdens. This is caused when “a severe financial crunch cause by high population density, a high proportion of low-income citizens, and again infrastructure”. The tax money is then sent to social services and upkeep on the infrastructure, because of this, schools do not receive a bulk of the money from the taxes. Along with again infrastructure causing tax burdens, the again population is also causing a tax burden. Many people who do not have children in school do not think that they need to be paying taxes for other people children. I think this is a little strange because those people at some point went to school and needed other people’s taxes to help their school. State and local taxes aren’t the only issues of concern for the budgeting of a school. The Federal government keeps creeping its way back into the state mandated system. After years of struggle trying to get schools into the hands of the state, the federal government is trying to have some influence. For example, the creation of No Child Left Behind has caused for the federal government to look at the accountability for school through the test scores of students and teachers. IF schools aren’t showing passing rates high enough the Government could take back money from grants that the school had been issues. This makes no sense, because how on earth would a school ever get better if they don’t get the funds they need to help them! Today there are certain trends in the financing of a public school. 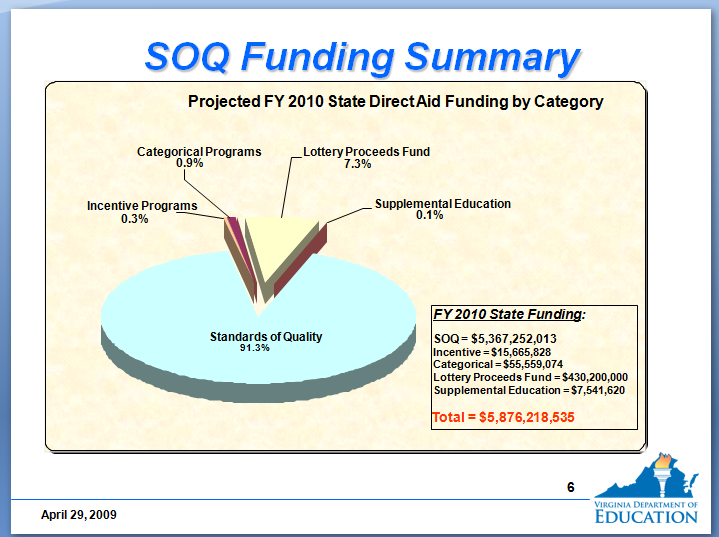 A lot of schools look for categorical and block grants to help receive funds. These grants, termed under “new federalism”, allow of schools ot receive money for a specific purpose, or for no specific purpose. This was a way to “shift federal social and education program from the nation to the state governments, because states, which were close to the programs, would know best how to spend the funds”. (Orenstein 248). I think that the reason to spend these grants should most definitely be in the state hands that way the state can really look into where the money is needs, send out representatives to take a look at the program and advise the school board on how to allocate the funds. Other trends that are helping schools are school credits/vouchers and school choice. With school vouchers and credits a student is able to receive state money in order to attend a more prestigious school, such as an inner-city students receiving money to go to a well known private school for a better education. This is causing a problem with public schools because it seems to show that the public school is not as worthy or good as the private school and so people are trying to get out of it. Not only are students switching schools, but taxpayers are showing some resistance for financing schools. Taxpayer resistance has been a current trend where taxpayers want to see exactly how much of their money is going to support public schools and exactly how that money was used. School boards needs to streamline a budget in order to see how to properly finance the areas needed. Areas to be looked at are: school size, modernization of older buildings, the need for teachers, administrative reductions, and energy economics. The study of these areas can help a school figure out exactly where they need money and where they could get around having to spend a lot. They need to be sure to look at the environmental and infrastructure problem and see how they can maintain a safe and healthy environment without depleting their budget. If I had to develop a budget for a school I would definitely look at using state and local property taxes, sales tax, and lotteries. I would try to figure out at least a minimum of funds that need to be allocated to each particular area. I would also want to look into product rights, such as having Coke products in the schools, and try to get sponsors for school sports and such so that not that much money needed to go to the sports program from. I would also want to make the community as involved as possible, whether through fundraising for more money to special needs programs or more money to the science program. I would want to make sure that the community can see where there money is going and what we still need money for.